The Institute for Grapevine Breeding Geilweilerhof (ZR) is engaged in the inventory of Vitis species, varieties and other Vitis genotypes existing in the grapevine collections world-wide, leading to the establishment of the Vitis International Variety Catalogue (VIVC). 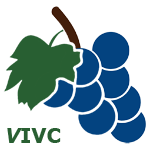 The International Organisation of Vine and Wine (OIV) and Bioversity (formerly known as International Plant Genetic Resources Institute (IPGRI)). The VIVC is accessible via the Internet. It is continuously updated. Documentation of the grape genetic resources. Facilitation with regard to the exchange of material. Information source for breeders, researchers, wine growers, etc.